Baby it’s damn cold outside and sometimes we forget that our four-legged friends can feel the cold just as much as we do. 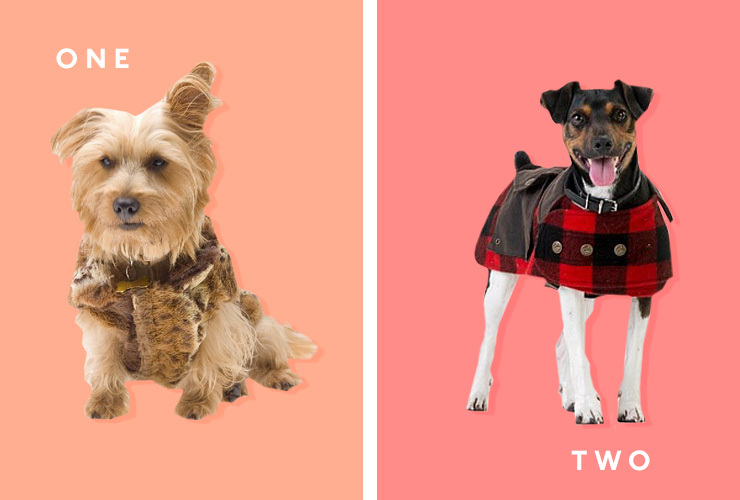 So, with that in mind, we decided to round up six of the best dog jackets that are available online right now so that your pooch can be the best dressed in the dog park. If a dog could take a selfie (and who knows, maybe they can) they would want to be wearing this beauty combining two types of faux fur with some cosy felt lining and velcro strips for ease. Sometimes you need to spend a bit to get a bit and this ultra luxe 100% wool with polyester fleece lining will have the best thing on four legs as snug as a…. dog in a jacket? Hit the slopes, hit the dog park or just take a nap in this padded jacket complete with faux fur, it’ll have all the ladies wondering who this rather elusive fella in the silver jacket is. This is what you want greeting guests at your next Christmas in July event or just as their regular Tuesday night attire because it is guaranteed to make all of the humans smile. 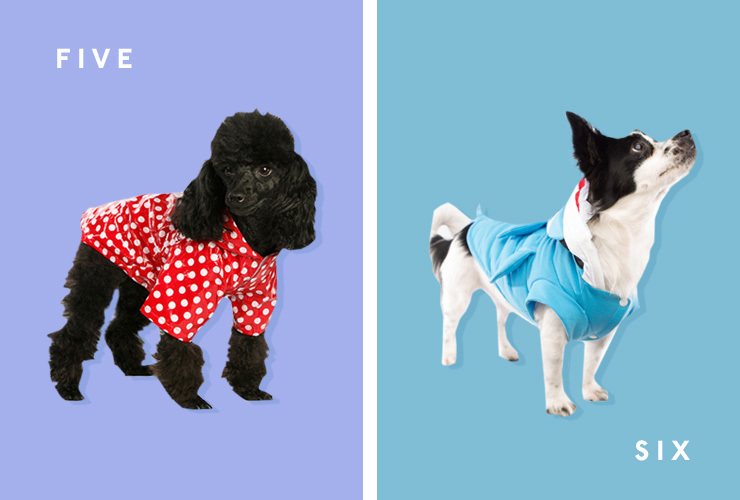 Have your pup step back in time with some vintage fashion flare. Just the right mix of style and versatility in this polkadot number that is not only adorable but totally waterproof. 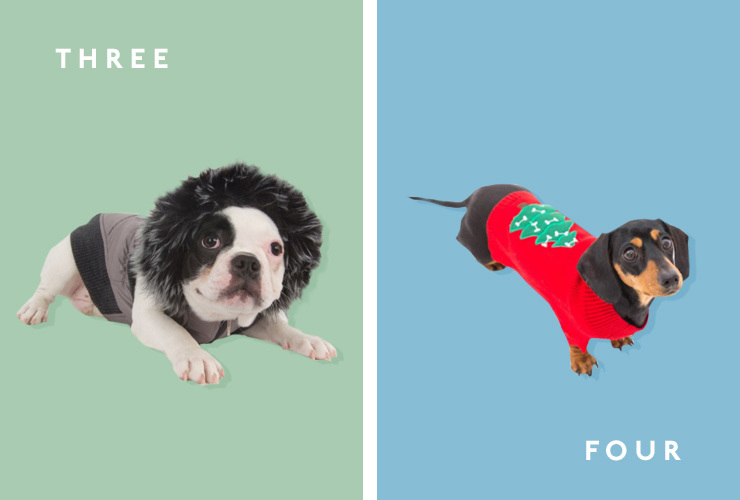 Come on, half the fun (make that 75%) of having a pet is having a cheeky chuckle when it looks totally adorbs and a tiny bit silly—that’s where this bad boy comes in. Half jacket, half costume, this is an investment in you and everyone else at the dog park’s future happiness.